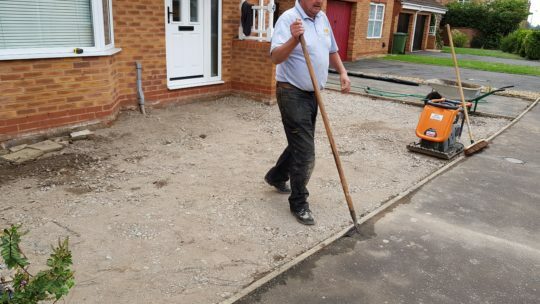 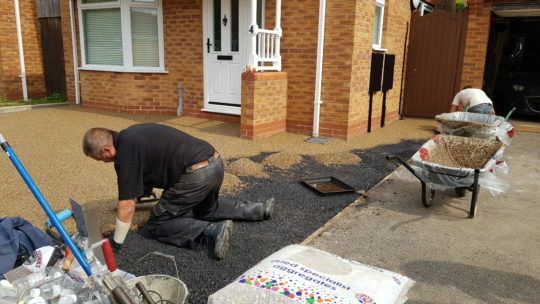 Our customers had a tarmac driveway with a slabbed/turf area at the front of their house. 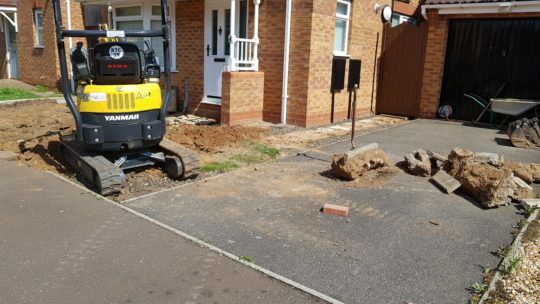 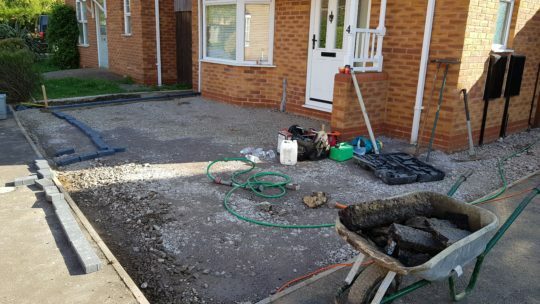 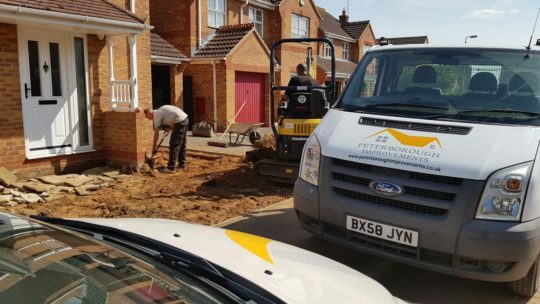 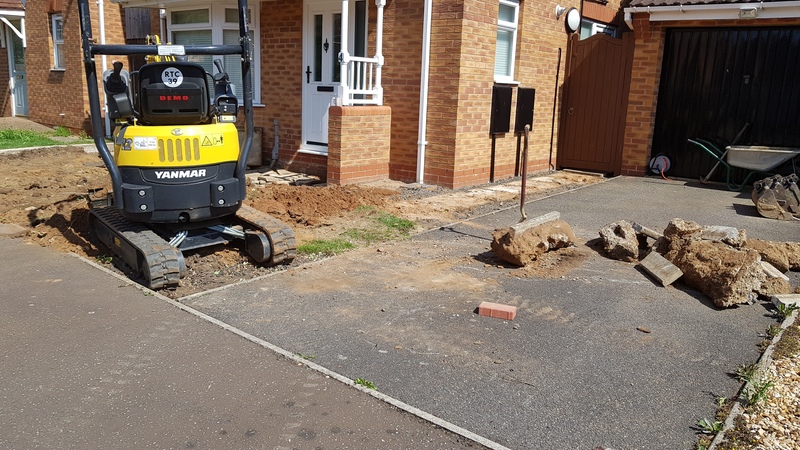 They wanted to extend the parking area by excavating the turf area and installing either block paving or Resin Bound surfacing. 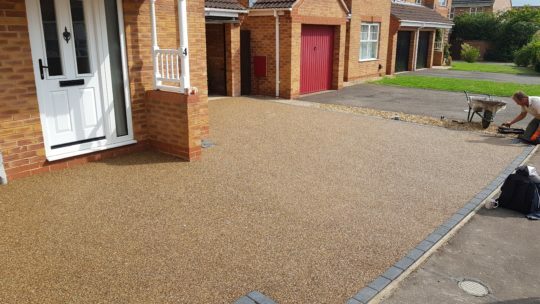 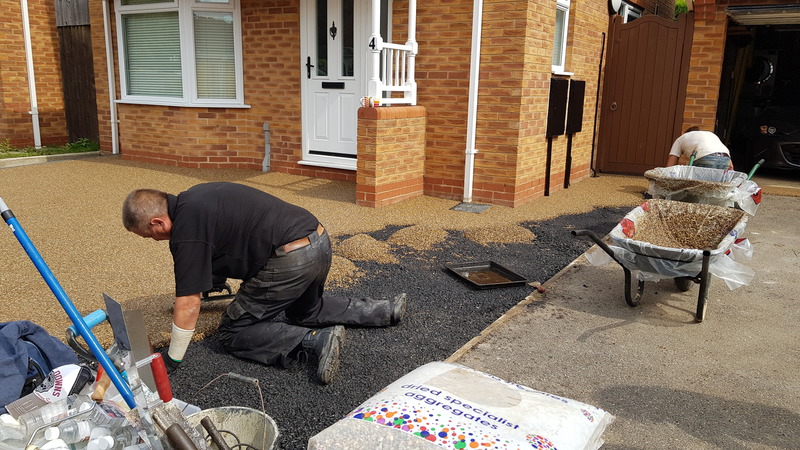 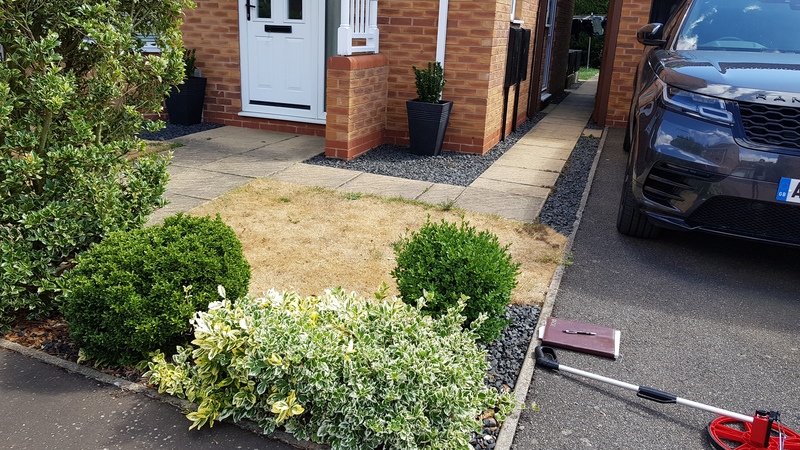 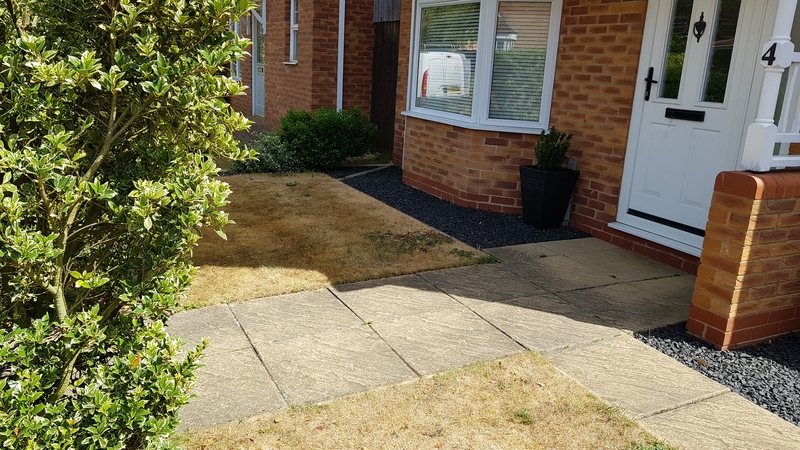 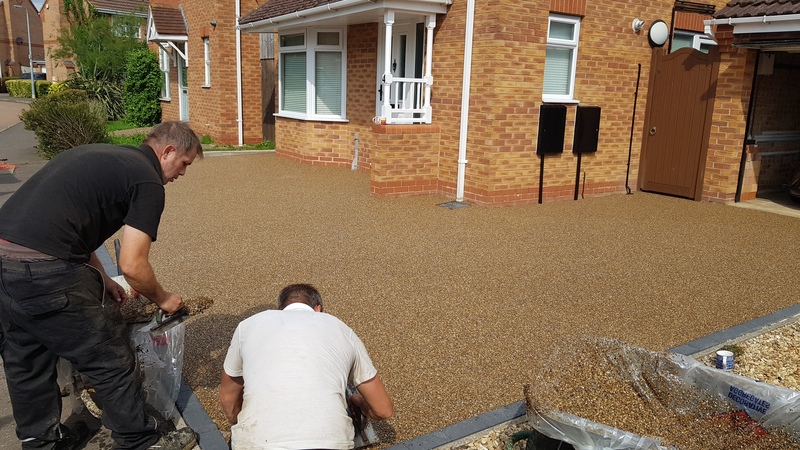 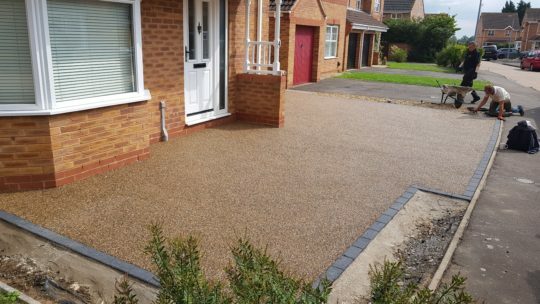 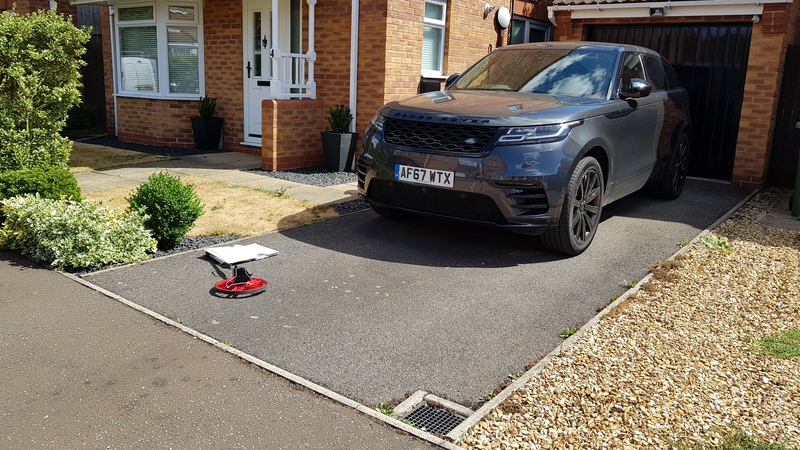 After considering the options our customers decided that a Resin Bound installation would be the prefered option as not only does it look great it wont require the maintenance block paving will. 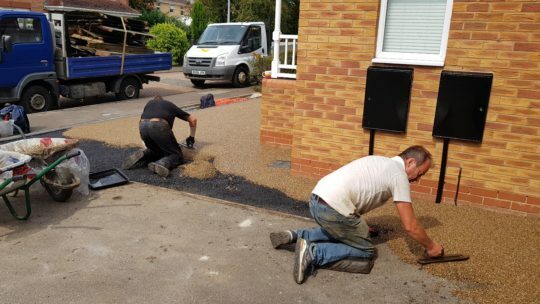 We excavated the turf and slab area keeping a small border for planters. 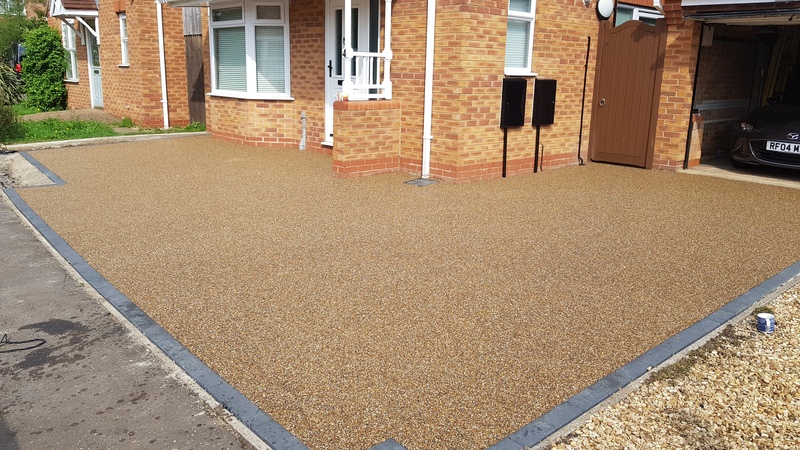 A new bitumen base was installed and edged with charcoal blocks, with the entire area then hand trowelled with Golden Pea aggregate bound in UVR resin.